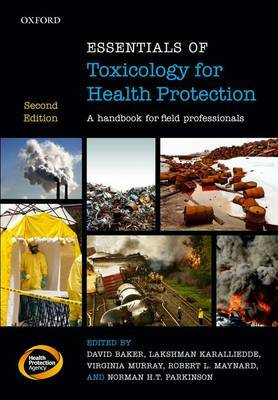 Essentials of Toxicology for Health Protection is ideal as both a course book for students and a handbook for field professionals involved in responding to chemical incidents and local environmental concerns. Produced by Health Protection England, it offers a comprehensive and structured approach to dealing with toxicological problems worldwide. The text covers both the basics of toxicology and its application to issues of topical concern such as contaminated land, food additives, and water and air pollution. Each chapter is written by an expert in the field, making Essentials of Toxicology for Health Protection essential reading for all professionals in environmental public health, including: health protection consultants, specialists and trainees; public health practitioners; environmental health practitioners; environmental scientists; and staff of the emergency services, the water and waste industries, and other industrial and regulatory bodies.